Hi Blissful and Domestic readers! 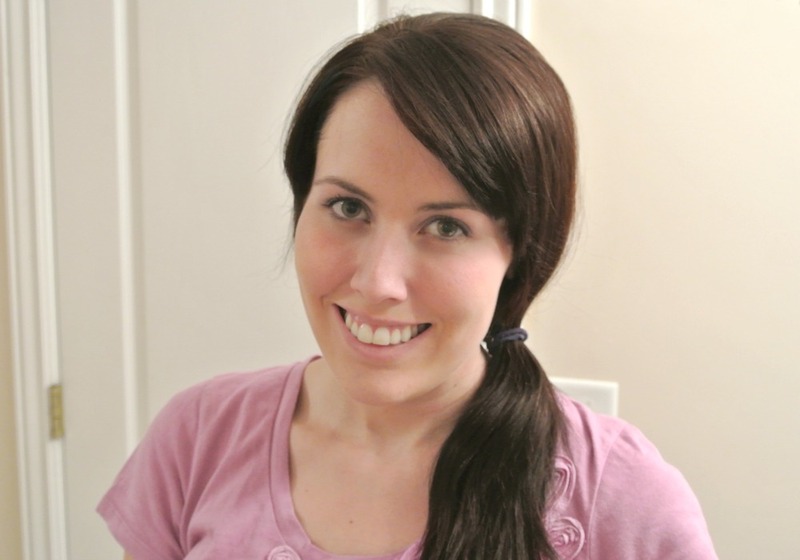 My name is Jenny and I blog over at Modern Modest Beauty. You can usually find me writing about fashion, beauty, travel and my life in general. When Danielle asked me if I would like to be a fashion/beauty contributor here on her amazing blog, I couldn't say no to such a great opportunity! So, a little about me...I'm a wife and mom of two, a part-time flight attendant and a blogger on the side. In my precious free time I love to travel, shop (on a budget), craft (even if I'm not great at it), watch movies and spend time with my family. Being a mother is the best thing to ever happen to me, but it definitely came with some lifestyle changes. One of the biggest changes has been the amount of time I have each day to spend getting ready. So today I want to share my favorite time-saving trick...DRY SHAMPOO. This little bottle will become your new best friend. 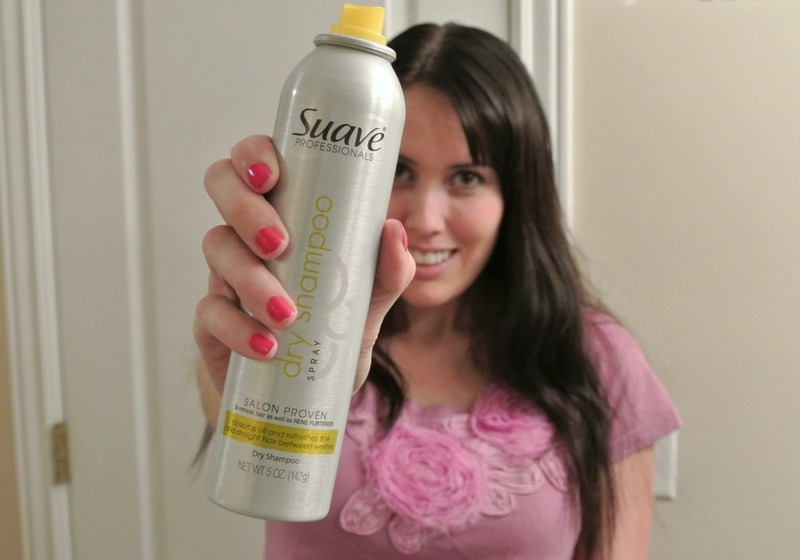 Note: I have no affiliation with Suave, this is just the cheapest dry shampoo product I have been able to find. 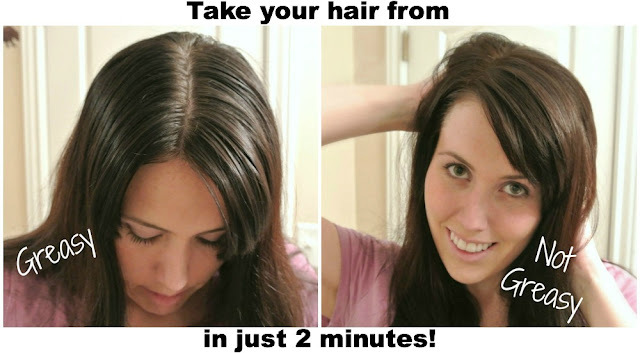 Step One: Apply dry shampoo to the roots of your hair. This should be the only part of your hair that is greasy. If your ends are greasy, that is a whole different problem that I don't have answers for! Make sure to get the roots toward the back of your head too. I think it works best to spray from about one foot away. If you hold the spray can too close, bad things happen. That is, unless your goal is to have gray hair. 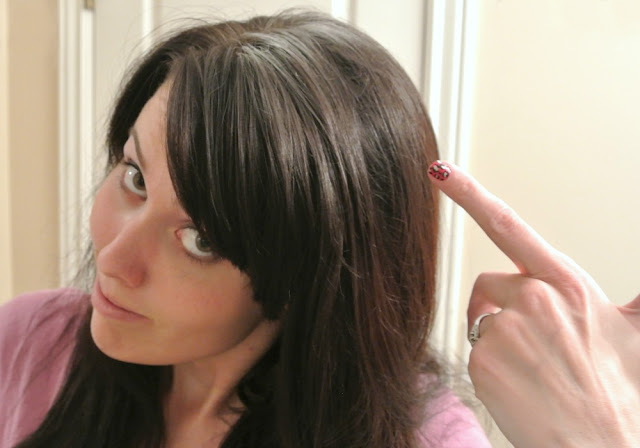 I prefer to dye my pesky gray hairs that are starting to pop up, not add more! Spray from a foot away and don't apply too much. Wait about 30 seconds to let the dry shampoo soak up the oil in your hair. 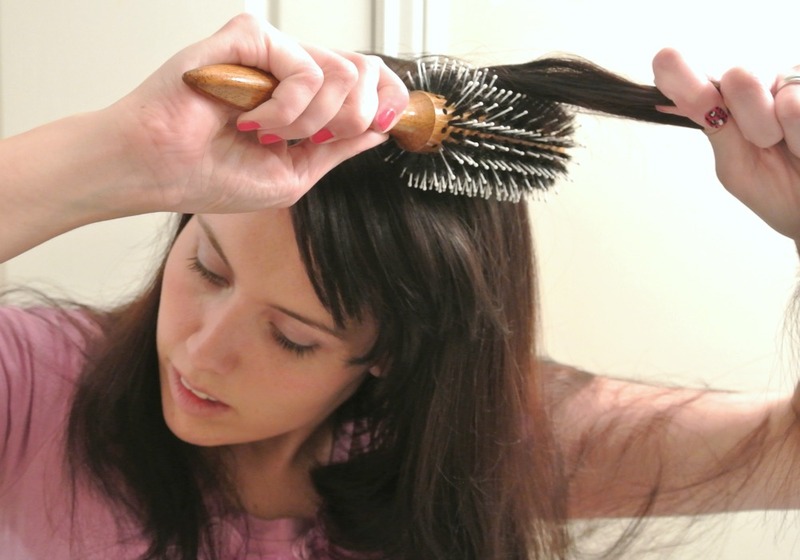 Then, brush through your hair and tease it just a little bit to give it some volume. Now you can style it however you would like. I put it up in a side ponytail, because like I said before, with kids I just don't have time to do much else! 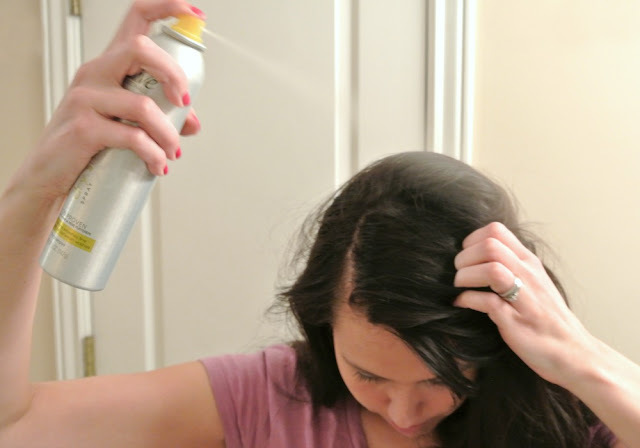 Dry shampoo is probably my favorite product and if you haven't used it, I hope you will try it out and see how much time it can save you in the morning. It's also healthier for your hair to not wash it every day. Note: you will still want to shower/bathe...if you have long hair like me you can put it up in a shower cap, or just pin it up off of your shoulders! I love to make new blogging friends, so come say hi over at Modern Modest Beauty! You can also find me on Facebook, Twitter and Pinterest! That is really neat. Much better than the baby powder idea I've tried... talk about really turning your hair gray!!! lol I've used this on elderly people I've cared for (but the Sally's Beauty Supply brand), but I have never thought to use it on me! Glad to know Suave makes a cheaper one... do you think Target or Walmart carries it? This is so funny. Great info. I'll make sure not to make my grey worse. I have a link party on Wednesdays, and I would love it if you would link this and any other posts. It is called Wednesdays Adorned From Above Link Party. It runs from Wednesday to Sundays. Doesn't the Suave brand smell soooo good? This was funny and I love dry shampoo! 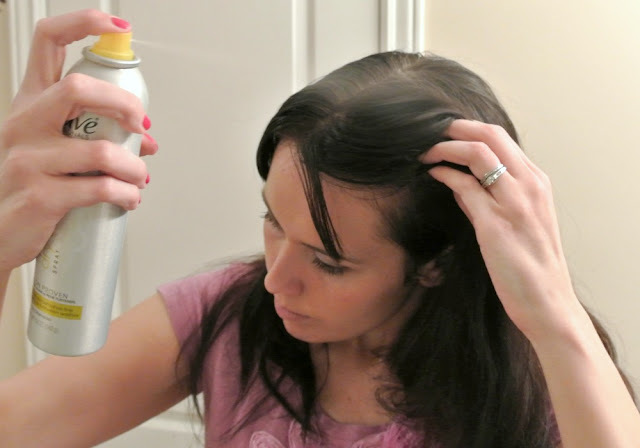 You can also make your own dry shampoo: 1 part baby powder, 1 part cornstarch, 1 part baking soda. Put in pizza shaker container and apply the same way. pretty impressive! but my hair smells in the morning :( Does it help that too? Is that really gross that I'm asking that? I've never gone a day without washing it unless I'm sick! you both are some of my fave ladies! i have the exact same suave dry shampoo and love it..my hair and face gets SOO oily..it's gross lol..so this stuff sure comes in handy if i cant wash my hair. I need this is my life right now! You can get coloured dry shampoo too! In a light brown or dark brown to match your roots, so if you don't brush it out completely it won't look like you have dandruff.